Playing live is always a pleasure and last night was particularly awesome. Hozerz and dreamSTATE both played awesome sets and we were also quite pleased with how our own set came out. We played a few old songs, a few “hits”, and we even played a couple of new tracks from our upcoming album, and it all sounded pretty great! Thanks very much to Dale Camus from Audio Bleed for organizing the event, thanks as well to the Roland Inspiration Centre for being such awesome hosts, and most especially thanks to all of you that made it out to see the show, we truly appreciate your support. 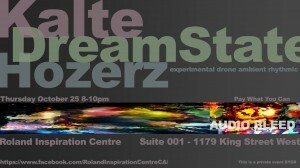 Just a short post to remind you that we have a gig this evening at the Roland Inspiration Centre! 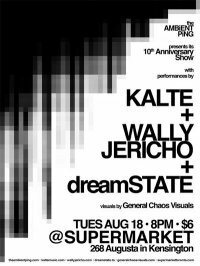 Join us as we celebrate #10yearsofKalte with a live show alongside our friends dreamSTATE and Hozerz as part of the Audio Bleed series. 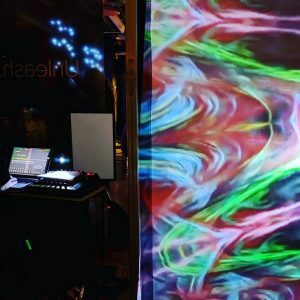 The Roland Inspiration Centre is located at Suite 1 – 1179 King Street West in Toronto, and we hope that you’ll be able to join us as we celebrate a decade of making mysterious abstract music! 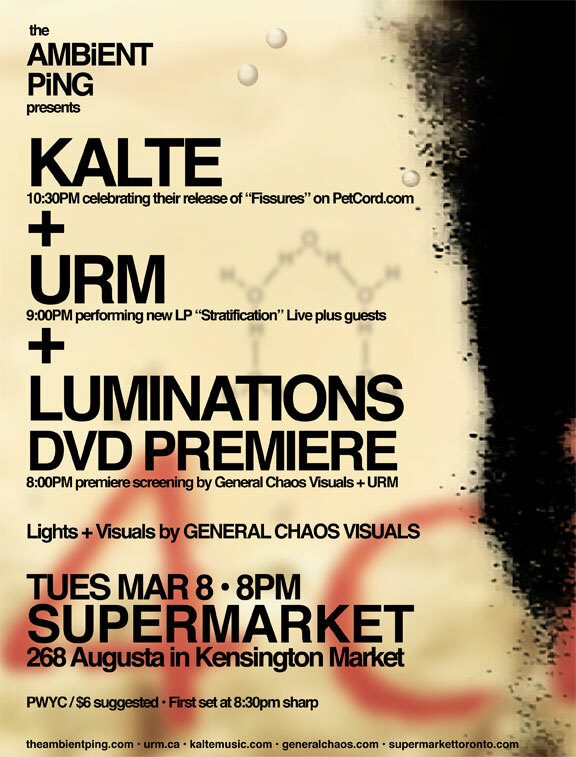 Having established SubZeroArts in Fall 2011, we spent a large part of 2012 planning new work for that project which meant that we took a year off from recording new Kalte material. 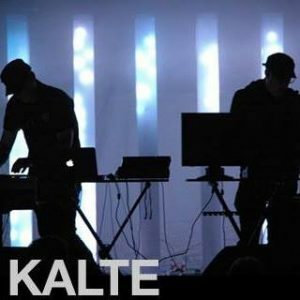 But despite being busy with new installation work, Kalte was never very far from our thoughts and when we had the opportunity to play an opening set for one of our musical heroes we jumped at the chance. Steven Severin was a founding member of Siouxsie and the Banshees in the early days of the 70s Punk scene, and together with Siouxsie Sioux and other band members, he shaped a legacy of brilliant music inspired by art, passion, and philosophy that still stands as some of the best work to have come from that era. 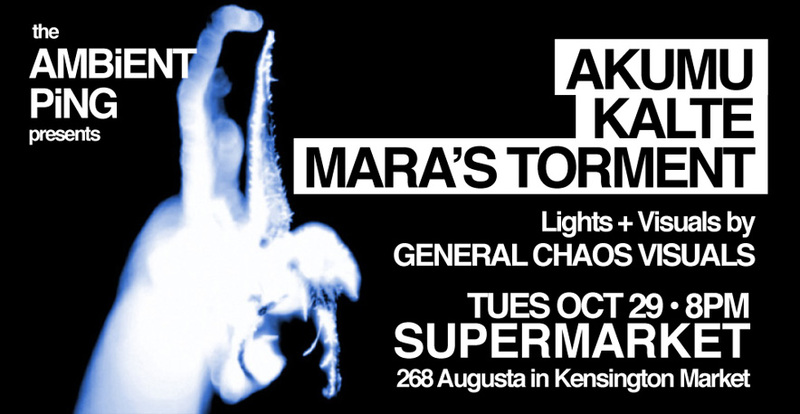 Following the break up of the Banshees, Severin focused on creating atmospheric instrumental work which was a strong influence on Rik’s solo project mara’s torment. 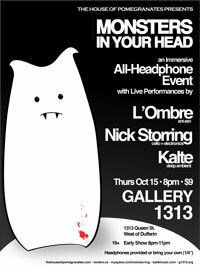 We had originally made contact with Severin in 2011 while he was touring through North America performing a live score to Cocteau’s film “The Blood of a Poet“, and sent him some links for Kalte to see if he would be interested in letting us open for his show in Toronto. To have one of your heroes enjoy your work enough to share a stage with you is surely one of the best and most validating experiences that an artist can attain, and of all of the things that we’ve done throughout our musical career as Kalte, this was absolutely one of the highlights. 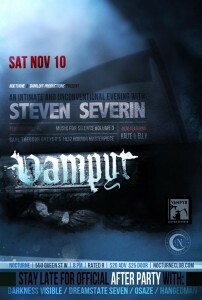 Unfortunately, Severin’s 2011 tour was cancelled due to a family emergency but we were able to connect again the following year, and in November 2012 we opened for Severin at the Toronto date of his “Vampyr” tour where he performed live music for the classic horror film. 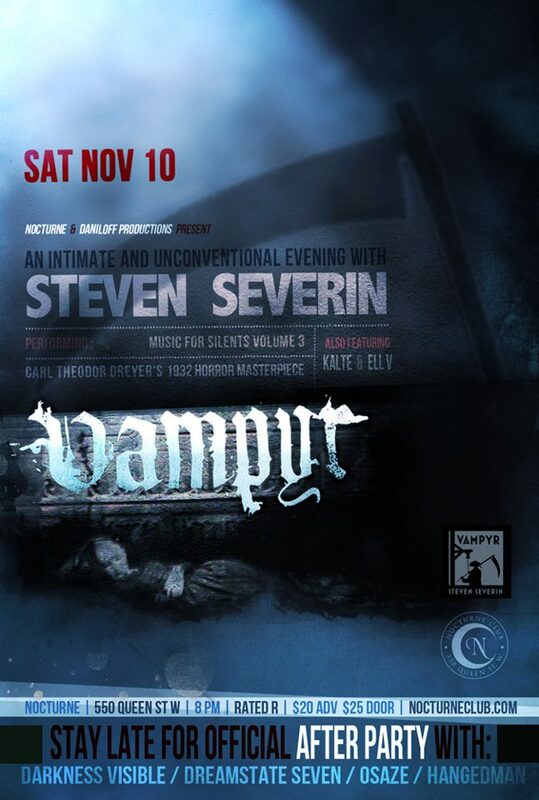 At a hosted dinner held the night before the show, Severin was every bit the engaging and inspiring artist that we imagined he would be, and at the gig he greeted us like old friends even though we had only met in person less than a day before. 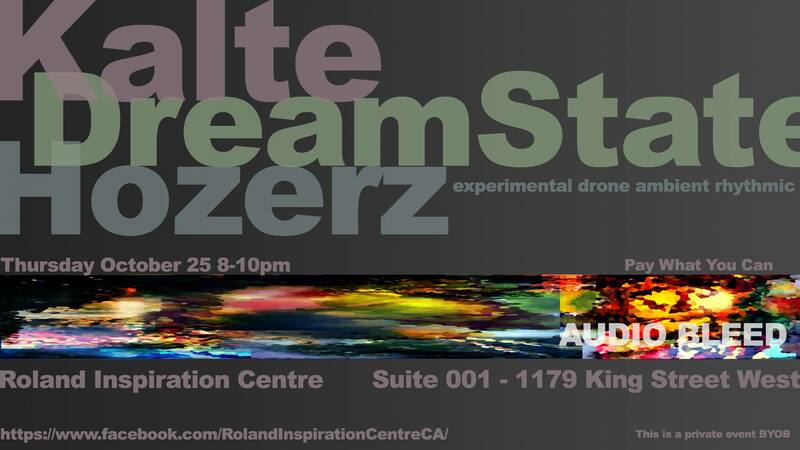 We’re very pleased to announce that Kalte will be performing at the Roland Inspiration Centre in Toronto along with our good friends dreamSTATE and Hozerz as part of the latest installment of Audio Bleed on Thursday, October 25th. 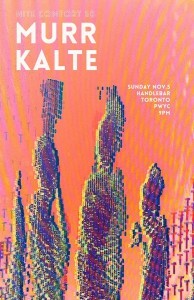 We’re particularly excited about this performance as October marks the Tenth Anniversary of our first release “The Lanthanide Series“, so we’ll be diving deep into the Kalte songbook to mark the occasion. 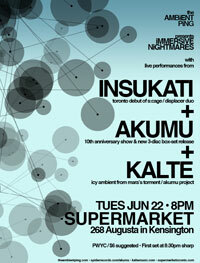 We hope that you’ll be able to join us as we celebrate a decade of making mysterious abstract music. 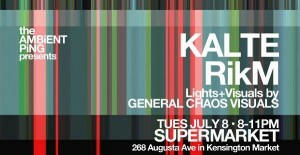 Kalte, live at the Ambient Ping on July 8th! 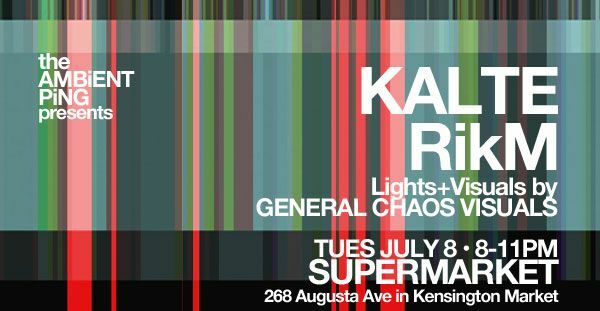 We’re happy to inform you that Kalte will be returning to The AMBiENT PiNG for a performance on Tuesday July 8th at the Supermarket in Toronto. 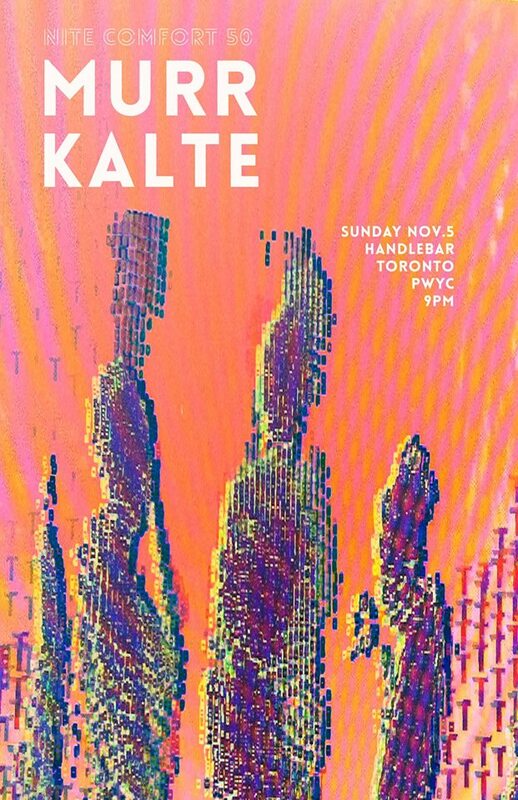 We always enjoy playing at the Ping, and we hope that you’ll be able to join us for a set of abstract and abrasive tracks inspired by polar winds and cryogenics. 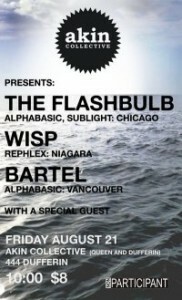 Visit our Facebook event to let us know that you’ll be coming. In addition to a set by Kalte, Rik will also be performing a solo set featuring work from his new project RikM. The debut release by RikM, “Clinical Trial”, is forthcoming from Crime League, visit http://www.crimeleague.com to find out more.